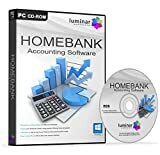 HomeBank is a powerful but easy to use home accounting software that will assist you to manage your personal finances. This entry was posted in Software and tagged Accounting, Bookkeeping, Finance, HomeBank, Management, Money, Personal, Software by Computer Education World. Bookmark the permalink.